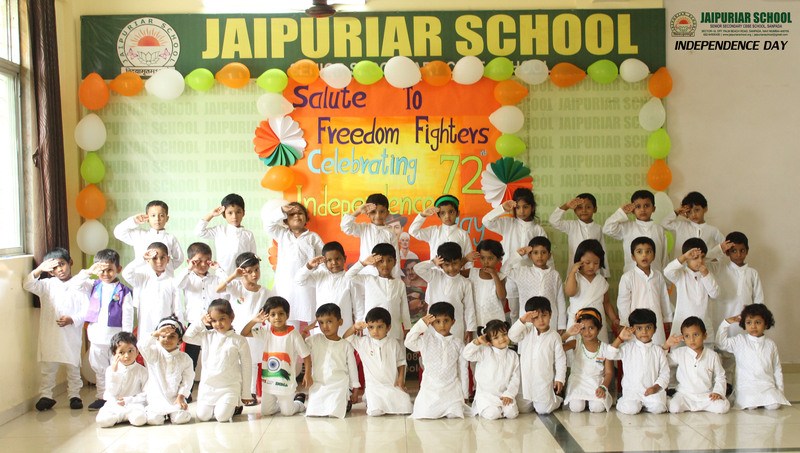 Jaipuriar School celebrated the 72nd Independence Day on 15th August 2018 with unprecedented patriotic fervor. The National flag was hoisted at the school ground. Everyone present there, sang the National anthem in unison and expressed the joy of freedom. The teachers expressed their feelings of pride towards the National flag by singing a patriotic song. The march past by the students was led by the Head Boy, Head girl and the members of the Student Council on the beats of the school band. Thereafter the cultural program commenced in the Assembly Hall. The choir students enthralled the audience by singing a patriotic song. 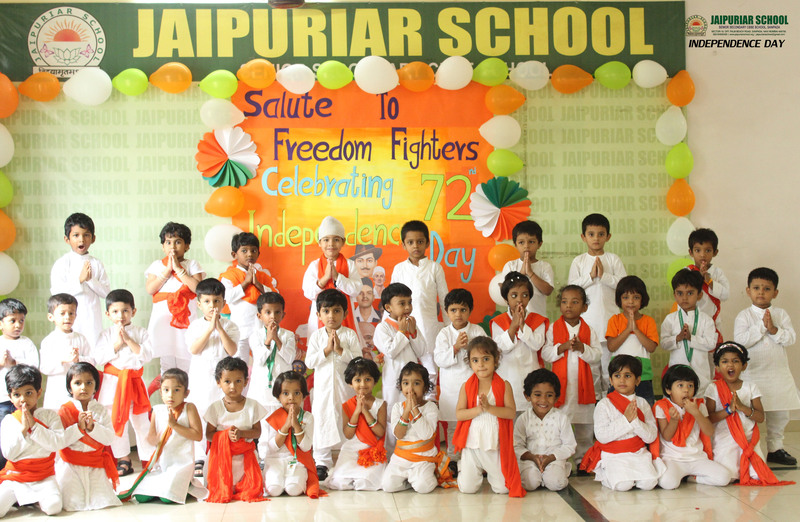 The highlight of the program was the enactment of the Indian Freedom struggle at JallianwalaBagh by the students of Primary Section. It urged today’s generation to value the freedom we have secured after the sacrifices of many freedom fighters. Some students, dressed in the tricolor of the National Flag, mesmerized the audience by performing on the fusion of patriotic songs. The students also expressed their sentiments and aspirations for the country through English, Hindi and Marathi speeches. The cultural program by the students inculcated a feeling of patriotism amongst everyone present at the function. The program concluded with the National song, Vandemataram. It was indeed a day of love and respect towards our country, to make it a better place to live and experience freedom, peace and unity in diversity.